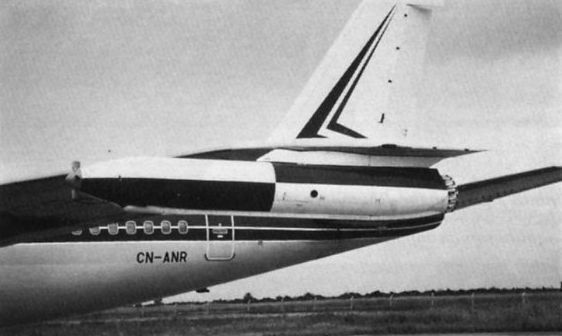 The RMorAF's Boeing 707-138B adapted for the flight refuelling role with F-5Es probed by the Aero Maroc Industrie of Casablanca. A close-up photograph of the Beechcraft refuelling hose unit on the port wingtip of the Boeing 707-138B. 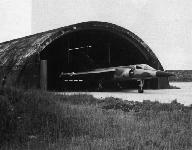 Ex-Luftwaffe CM 170 Magisters at Marrakech-Menara, home of the RMorAF Academy. Apart from their basic flying training task, the Magisters have been operated in the counter-insurgency role in the Western Sahara. 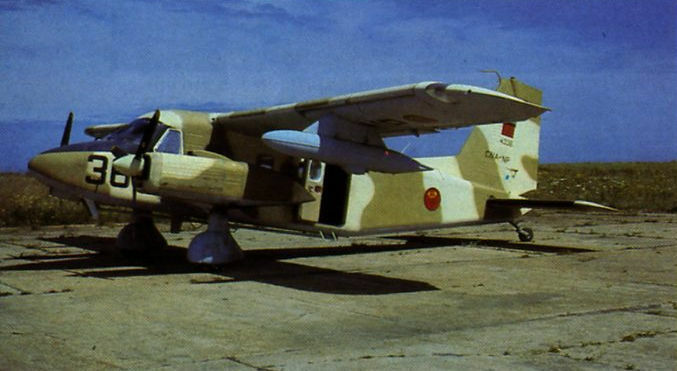 One of the surviving CM 170 Magisters originally acquired from France's Armee de l’Air photographed at Marrakech-Menara. 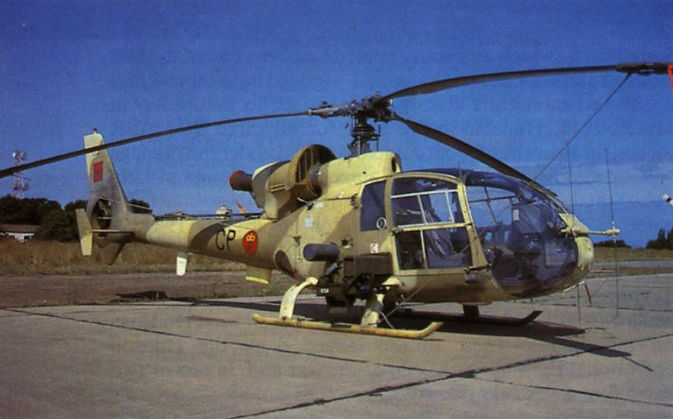 One of the several types of helicopter included in the inventory of the substantial RMorAF rotorcraft fleet, an AB 205, photographed at Rabat-Sale. 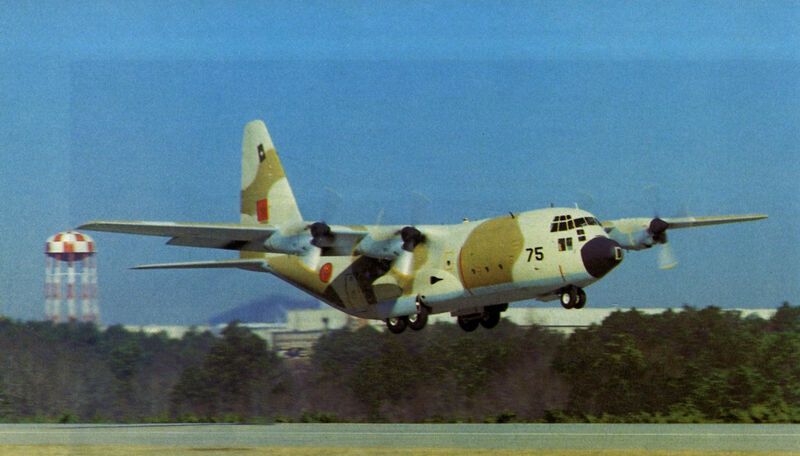 One of the RMorAF's fleet of Lockheed C-130H Hercules transports photographed at its home base of Kenitra, the Hercules displaying both military and commercial markings. 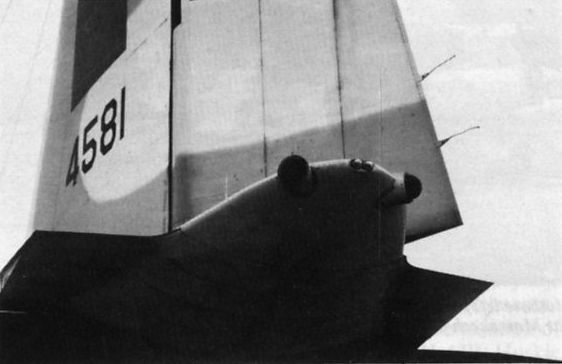 The RWR (Rear Warning Radar) antennae on the extreme tail of a RMorAF C-130H. 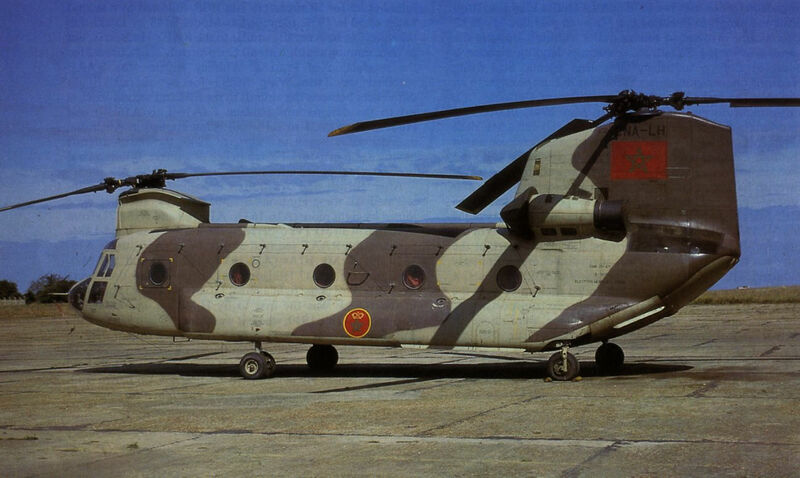 One of the RMorAF CH-47 C Chinook medium-lift helicopters procured from Elicotteri Meridionali and valuable for the logistic support of isolated outposts along the Moroccan border earthworks. 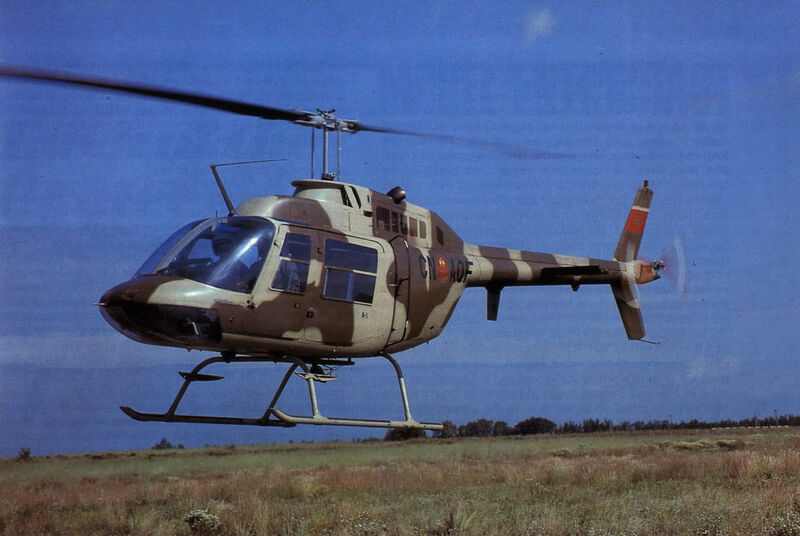 One of the several types of helicopter included in the inventory of the substantial RMorAF rotorcraft fleet, an SA 330 Puma, photographed at Rabat-Sale. 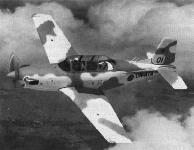 One of the six ex-US Marine Corps OV-10A Broncos supplied to the RMorAF in 1981 photographed at Marrakech-Menara. 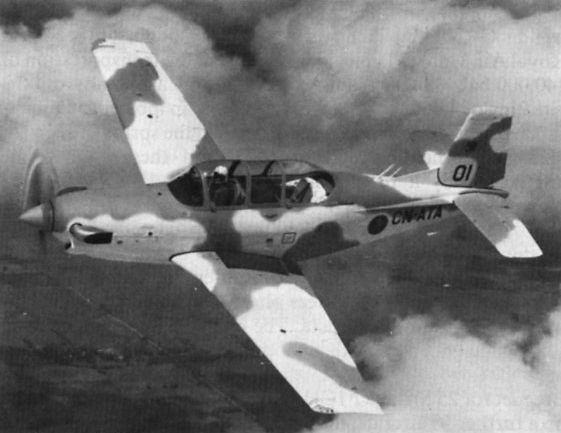 The RMorAF T-34C Turbine Mentors serving with the RMorAF Academy display both military markings and commercial registrations. One of the most recent additions to the governmental transportation fleet at Rabat-Sale is this Dassault-Breguet Falcon 50. 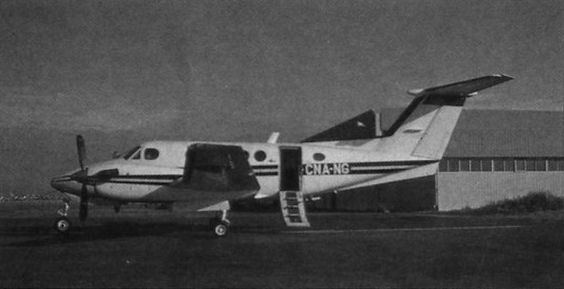 A Beechcraft King Air 100, which, despite lack of military insignia, is operated by the RMorAF as a VIP transport from Rabat-Sale. 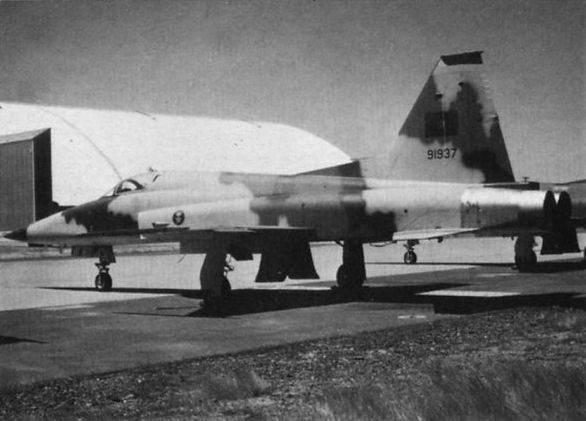 An F-5E Tiger II normally home-based at Meknes-Mezergues. 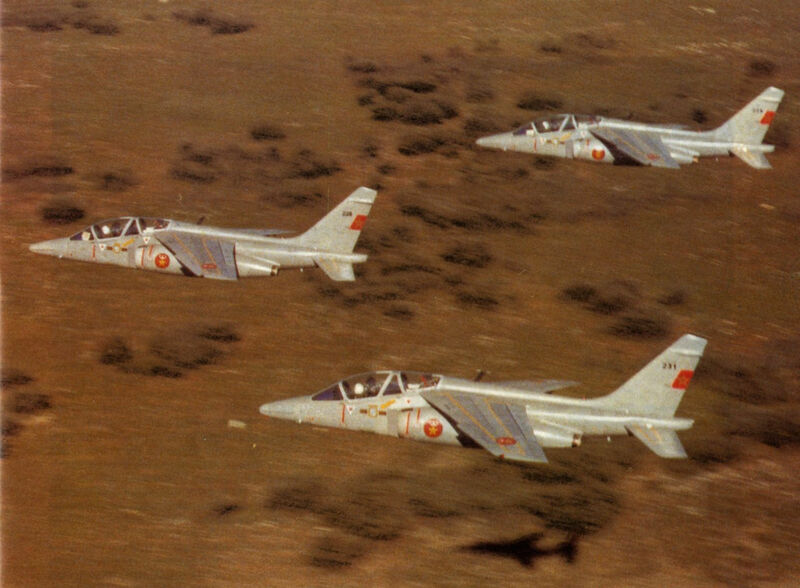 Aero Maroc Industrie (AMIN) has fitted air-to-air refuelling probes on the F-5Es. 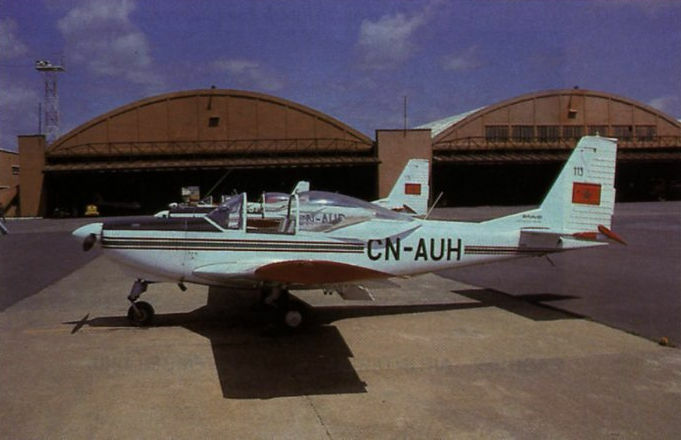 The FFA AS.202/18 Bravo provides RMorAF pupil pilots with ah initio instruction at the Academy and plans exist for its licence manufacture in Morocco. 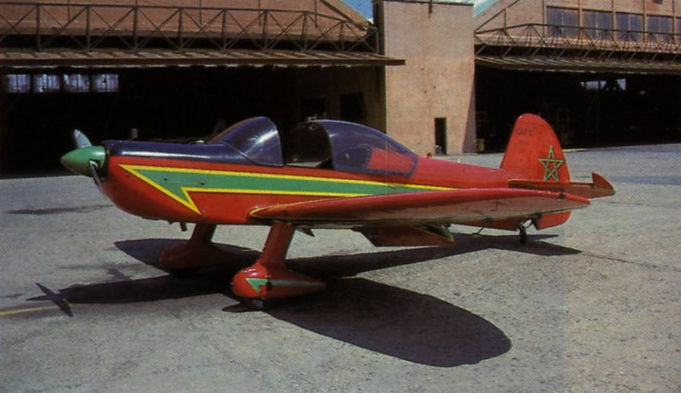 CAP 10 aerobatic aircraft have been procured to equip a RMorAF aerobatic team which is currently working up at Marrakech-Menara under the tutelage of a French instructor, J-P Otelli.